Sharn Samra, Marketing Director at Epwin Window Systems, says visitors to stand B34 will have a wealth of new window and door developments to explore. Customers will also be able to find out about Excellence as Standard, a ground-breaking new affiliation programme designed to help installers and fabricators grow their business with Epwin. This year’s Epwin Window Systems stand at the FIT Show will have new innovations across all our window and door brands on display, designed to help our customers grow their businesses. PatioMaster, the UK’s leading patio door brand, will be introducing three key developments on its inline sliding door at the show. The developments will open up new opportunities in this product sector and help our customers service this growing market. Our window systems will be a very big highlight as well. For example, customers will be able to explore the new enhancements on our market-leading Spectus vertical slider and see just why it remains the VS of choice for so many businesses. Customers will also be able to see the game changing Optima system from Profile 22, which is billed as the best of everything, something that was demonstrated when it won the New Product of the Year category at the 2016 G Awards. And Swish Windows and Doors will be showcasing its newly enhanced range of colours, which now includes 28 colours from stock and available on express delivery. Visitors to the stand will also be able to find out about our range of over 80 ancillaries, including the latest additions. The range suites across all systems, making life easier for fabricators and installers as well as giving their customers more choice. 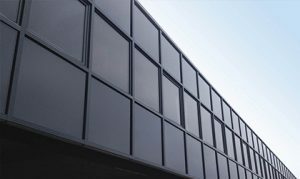 And businesses that work in the new build sector will want to visit the stand to find out more about the depth of the Epwin window systems offering and the new developments we are introducing in this area. Away from the products, installers will definitely want to find out more about Excellence as Standard. We have always provided the most powerful partnerships for fabricators and in our Excellence as Standard initiative we are extending this to installers too. The core aim of Excellence as Standard is to enhance loyalty and trust between fabricators, installers and homeowners. By signing up to the Excellence as Standard charter and obtaining member status, installers will be demonstrating they are fully committed to raising standards and be able to profit from tangible advantages that will help them to grow their business. Member benefits include qualified leads via the Excellence as Standard lead generation programme, access to training courses, Excellence as Standard branded marketing material with bespoke options and offers from Excellence as Standard Trusted Partners. So businesses who are already customers of ours will want to make sure they visit our stand to say hello and find out more about the new developments in window systems, designed to help their business. And businesses who aren’t already customers will want to stop by to find out more about what we have to offer. Visitors to the stand will also be able to meet the team behind the company name, including the product design experts, the dedicated customer marketing managers and senior team members including our Managing Director and Technical Director. New Patiomaster website goes live!